Will check the Database to confirm the number as Dawn is on there. So tell me, is it a clear glaze over white clay with a gold band on the rim? 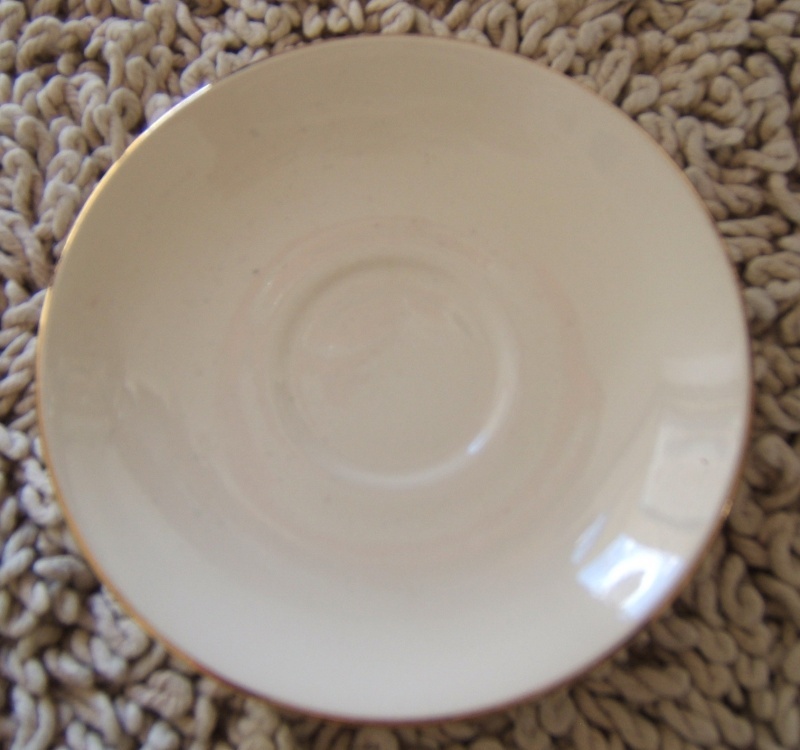 Interestingly today I came across a Beswick saucer that matches the cup above with the three gold lines and the gold rim. I initially thought I had found the cup's mate so was very surprised to see Beswick stamped on the bottom. 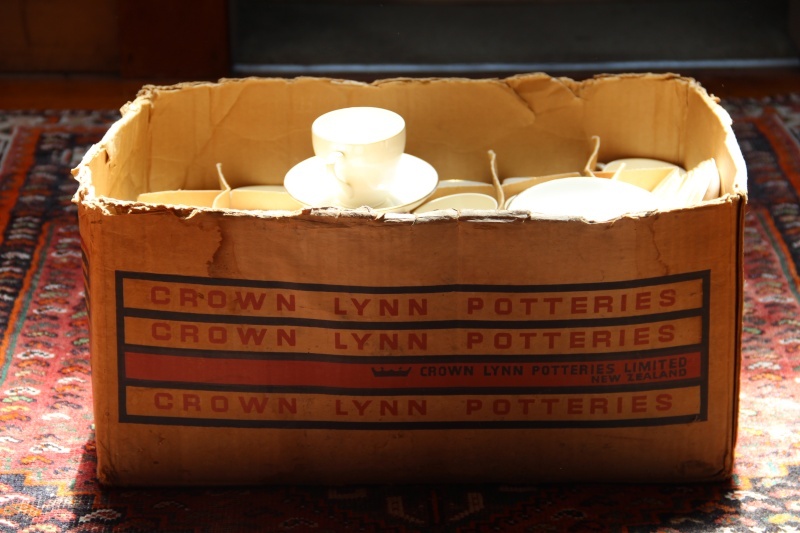 Crown Lynn copied nearly all of the English Potteries and the odd one from the Continent. It didn't matter then as we were a long way away and imports were restricted. Thought the extract below from the Kelston thread might help. The Kelston brand with a number of variations seems to have been quite popular and perhaps a good seller. 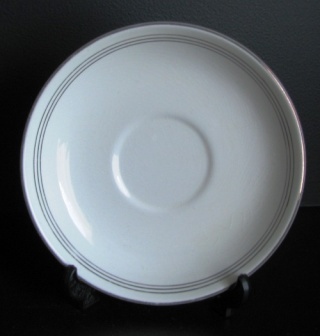 This brand name was mostly used on dinnerware from the 1960's to 1980's. 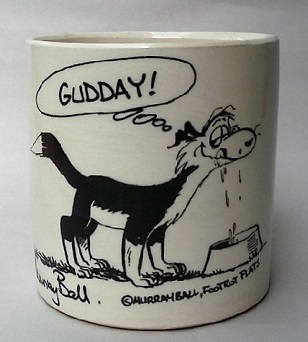 It's very different to the backstamp on Cat's cup, which isn't in Val Monk or Gail Henry. I have a couple of pieces with the same mark and they have been done in gold lustre. 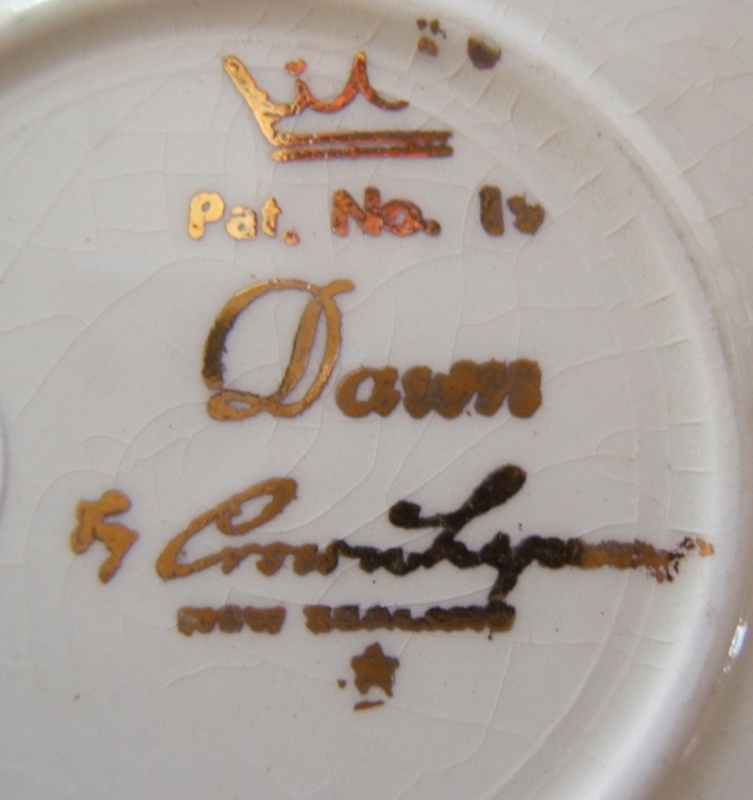 There are many gold lustre marks, eg Ascot, Starline, Coronet, Crown Manor etc, etc and they were used in a similar time frame c1950 -c1960s. The Dawn mark corresponds with the Fashion Rose mark in Gail Henry which was used from the early 1960s+. I'd agree with you on the 50s to 60s timeframe on my cup - it has a fifties design feel about it in my opinion. I think the top saucer would be a match to my cup - the gold lines on the cup are 3mm apart and the bottom pic looks to be closer together than that. Dawn is D190, so I guess that Marl's piece missed the 0. It is described as having a rolled gold edge and is made in both the coupe shapes and thin rimmed shapes. It includes all of the plates, bowl, jugs etc etc and the 750 cup and the 754 and the 805 saucer. I see a set of four duos advertised as "Pattern no 19, Dawn" on tm. As it appears to be an early pattern I wonder if it started out as 19 and the 0 was added for consistency with other three digit pattern numbers later on. I couldn't resist these. All in good condition, 43, dont really know what I will do with them. The Crown Lynn box with the W(h)anganui retailer on it sold me! 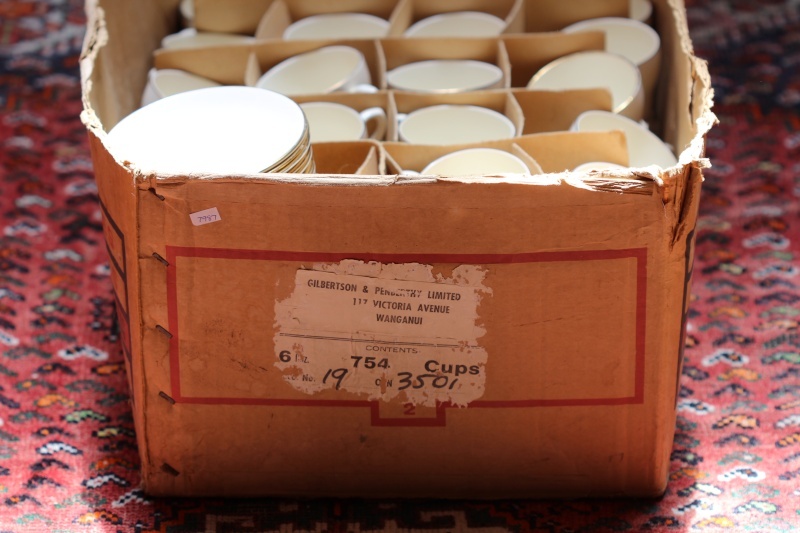 Kelston Potteries on the saucers and Pat. No. 19 Dawn on the cups. Good idea but that won't be until I retire....quite a few years to go yet!!!! The local history of the box is quite interesting. The Gilbertson family still have Mitre 10 Mega in Whanganui and that box is labelled Gilbertson & Penderthy which was the original hardware store.